Chinese shipbuilders are constructing eight new submarines to protect its ally Pakistan with an aim to counter India. Currently, Pakistan’s Navy has ten subs, which suggests their submarine fleet could expand by 80 percent upon delivery, expected in the mid to late 2020s. Relations between both countries are incredibly complex, as the Kashmir conflict and the numerous military disputes on the Line of Control (LoC) have intensified in recent years. According to unnamed sources, as quoted per Zee News, under Project Hangor, China’s shipbuilding industry could soon be delivering over eight new subs to Pakistan. India’s underwater warfare program is perceived to be far superior to Pakistan. As of now, India has sixteen submarines while Pakistan has about ten. However, China wants to scale up Pakistan’s underwater warfare capabilities to defend the China Pakistan Economic Corridor (CPEC). China and Pakistan have a close strategic relationship as both countries have supported each other financially, strategically and militarily. The move to increase Pakistan’s submarine fleet comes at a time when CPEC, a $50 billion collection of infrastructure projects throughout Pakistan that intends to modernize Pakistan’s energy infrastructure, transportation networks, and economy, threatens to reshape global trade and disrupt the status quo. 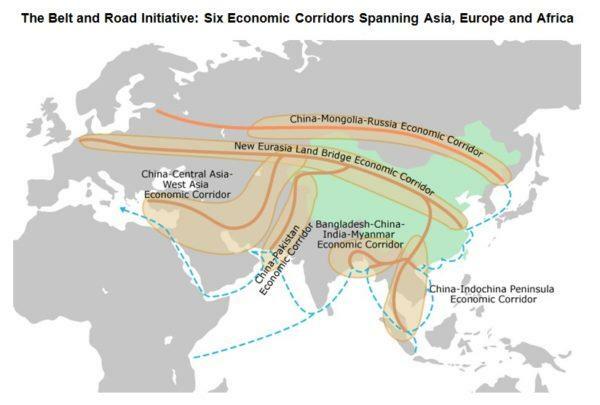 Connecting all of Eurasia and Africa to China through the One Belt, One Road (OBOR) is seen as a significant “security vulnerabilities” for the United States, said Kurt Tidd, chief of the US Southern Command (SOUTHCOM), who spoke with US lawmakers at a Senate Armed Services Committee meeting, earlier this year. China has put forth a cohesive strategy for future growth while the United States has offered zero solutions in response, other than weaponizing India and China’s neighbors [Tiawan], conducting Freedom of Navigation (FON) operations in the South China Sea, along with destabilizing countries in Eurasia to slow down the progression of OBOR. In addition to submarines, China successfully launched two remote sensing satellites for Pakistan last week, which could help both countries monitor India and CPEC infrastructure. The satellites were on-board the Chinese Long March (LM-2C) spacecraft, while the PRSS1 – Pakistan’s first optical remote sensing unit – was developed by the China Academy of Space Technology (CAST). 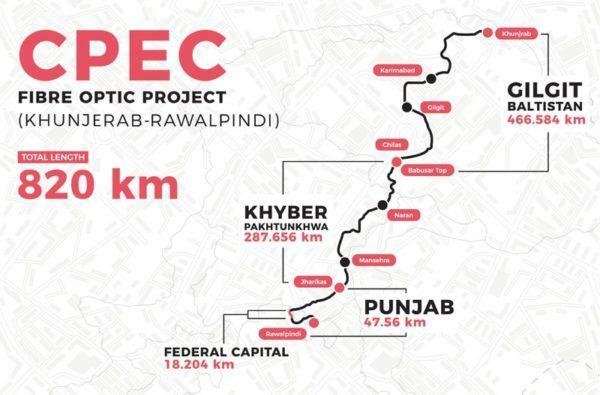 Furthermore, the fiber optic pipeline project connecting Pakistan to China was completed in June which now provides a direct link between Pakistan, Middle Asia, and East Asia and reduces the possibility of disruption to international traffic. This is amongst the only information and communication technology project under the CPEC. The project started in March 2016 and concluded last month. The cable extends over a distance of 509 miles and has 26 microwave transmission nodes from Rawalpindi to Karimabad and 106 miles of aerial fiber cable from Karimabad to Khunjerab as a back-up. Also, Chinese automakers are entering the Pakistani market with the likes of JAC Motor, DFSK, Luoyang Dahe, Lifan, Foton JW, and Changan. Some of the companies have already received the government’s approval. They have been awarded a Greenfield status to build their respective manufacturing facilities for the local market. 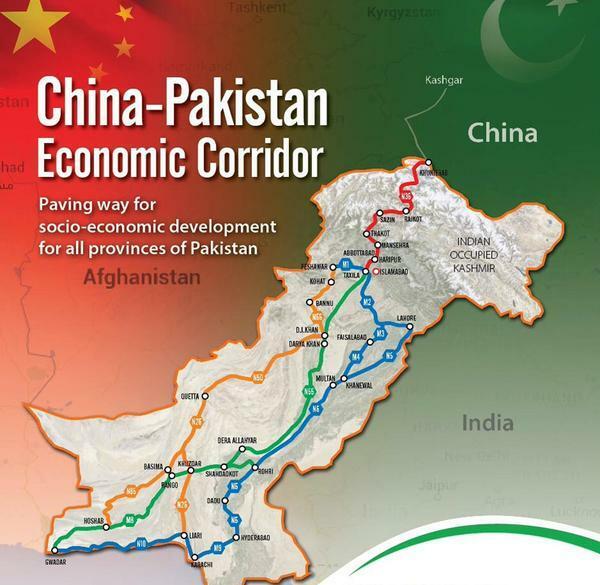 So all in all the relation between Pakistan and China is mutually beneficial for both the countries. CPEC enables China access to the Arabian Sea, thus allowing one of the six economic corridors via OBOR to come online. In doing so, China recognizes CPEC and or the overall OBOR system can disrupt global trade, or better yet, the American empire. That is why China is beefing up Pakistan’s underwater warfare program, to deter US Indo-Pacific Command.